Warning: Upsetting images A starving and abandoned dog who was found covered in urine resorted to eating bits of glass and old batteries. 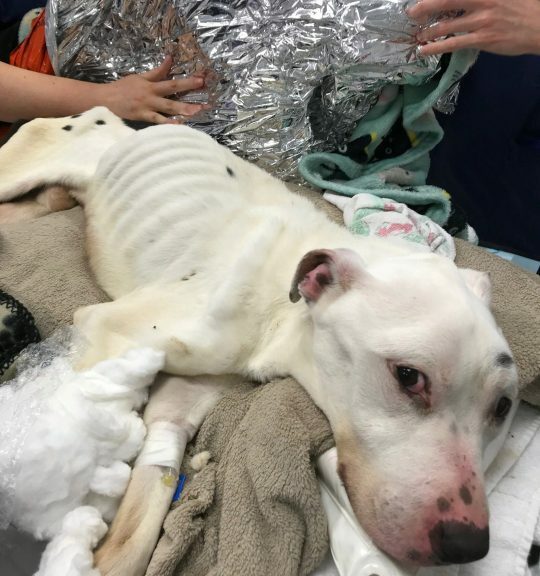 The dog, named Eric by veterinary staff, was so thin that his ribs could be clearly seen poking through his fur and he could not stand or lift his head. 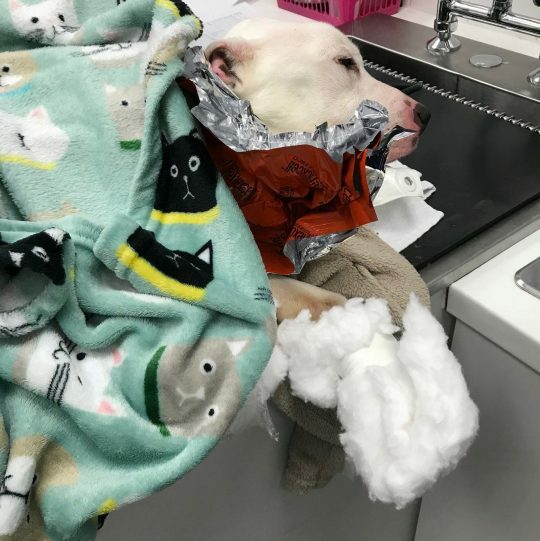 He was so weak when rescued that he collapsed and had to be wrapped in metallic thermal blankets to keep warm. 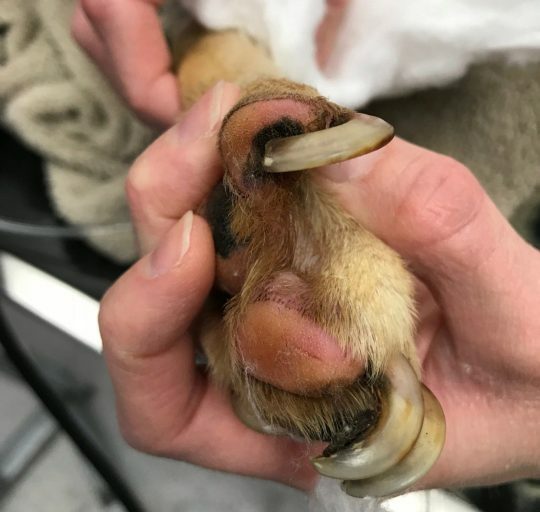 Heart-breaking photos show his claws had grown so long that they curled over. 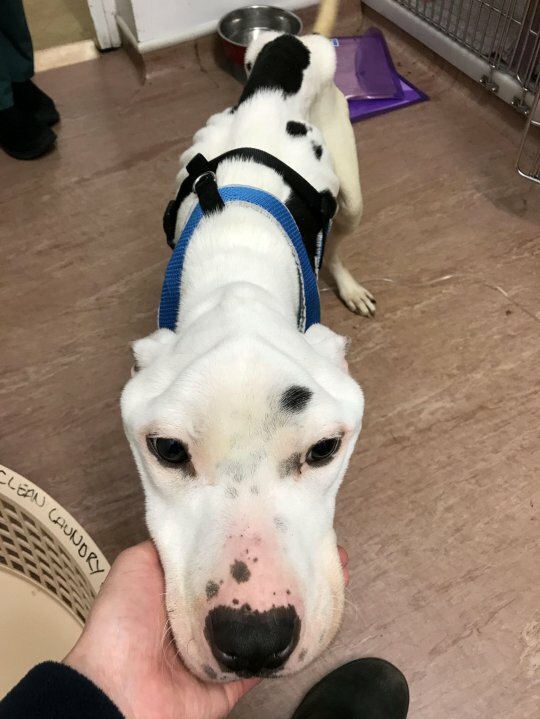 The dog, described as a bull breed type, was found languishing in the garden of an empty council house in Accrington, Lancashire by a member of the public earlier this month. Luckily Eric is being given round-the-clock care and is on the road to recovery while an investigation is carried out to trace his owners. He was in hospital for a week and has put on nearly a kilo since going on a recovery diet. He can now stand, take a few steps and has just gone to a foster home. The RSPCA have made enquiries around the area but no one has said they recognise him. He is not microchipped, which has been required by law since 2016, making it difficult to hunt for the owner. Anyone with information should call the RSPCA’s appeal line on 0300 123 8018. Pitiful. That poor dog. Makes me weep & hold my 3 very close. I hope the person(s) who did this are caught & ideally sent to prison. How / why is this still happening ?? Words fail me ! !